Side 1 printed with 1 PMS color using heavy coverage. 12pt C1S White Semi-Gloss stock coated with Aqueous Matte. 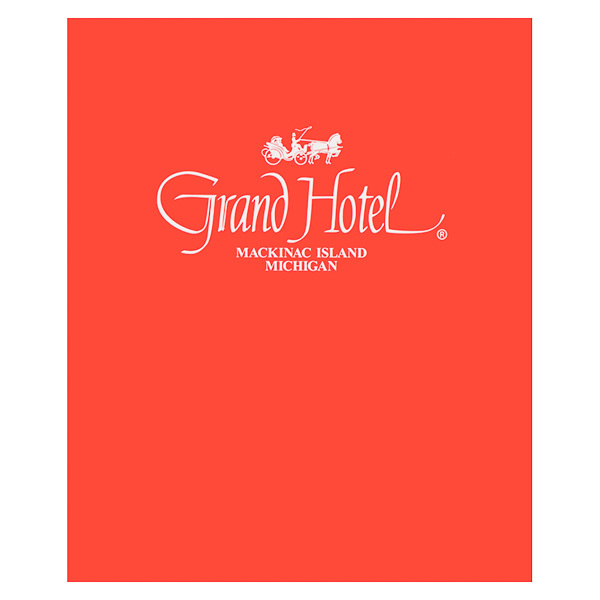 Mackinac Island’s Grand Hotel used its color branding to create a vibrant design. Both outer panels are bright red, with the hotel’s horse and carriage logo in white above its name. The script and serif fonts combine for an elegant, old-timey feel. Inside, white panels let the eye rest from the energetic exterior. A bright red frame adds a pop of color that draws attention to the photo inside. Proudly display 8" x 10" portrait photographs with this self-supporting product. A deckle cut frame adds decorative flair, drawing attention to the image. Print commemorative text on the frame to remind recipients of where the photo was taken. The lightweight stock is perfect for distribution at large events. When closed, the cover protects against dust and fingerprints, helping eliminate the damage that can occur when transporting photos in a traditional glass frame. Dimension Open: 19" x 11 1/2"